Now in Rainbow! 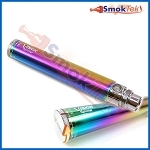 The EGO II Twist by Greensound is a large capacity Variable Voltage eGo battery. At 2200mAh, this battery will last a long time between charges! 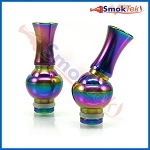 The EGO II Twist is an advanced eGo battery based on the HGB 2200mAh core battery. Using smart Buck-Boost converter technology, the EGO II Twist allows you to adjust voltage output from 3.3V ~ 4.8V by spinning the knurled dial at the bottom. Regulated voltage output remains stable as the unit is depleted. The battery features 5-click ON/OFF manual operation and a white LED. The LED also acts as a Power Level Indicator, alerting you to how much power remains or when it is time to charge the unit. The EGO II Twist also has an 8-second safety cut-off feature. Unlike most eGo batteries, the EGO II Twist has a spring-loaded 510/eGo connector which will ensure your atomizers fit flush every time. It works great with 510 and 510/eGo threaded atomizers like the Aspire Nautilus Mini, Kanger Mini ProTank-3 and others. 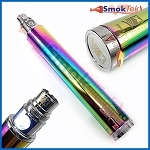 Please note: The minimum atomizer resistance for atomizers used with this battery is 1.5 ohm. 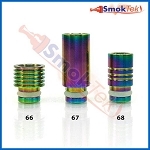 Please do not use any atomizers with a lower resistance - it is for your safety. Each unit comes with a removable beauty ring, which hides the threads on the battery when used with a 510 threaded atomizer. This is the 4th battery I have purchased, and it is the last for me. This battery lasts from the time I wake up until the time I go to sleep, and I use it all day long. Also, the battery indicator light has never turned red on me; normally when I plug it in at night it is blue (which means there is still 25-50% of battery left). I prefer the feel of the pen vs. the boxes, so this battery works great for me. It is a little fatter, so it holds my Nautilus well. Purchased with the 450mAh charger, and my battery charges in 3 hours. I have purchased several variable voltage batteries over the last few months (they did not break... I just lose a lot of things) and this one is the best by far. In fact, I am just about to buy it again to replace my last one. 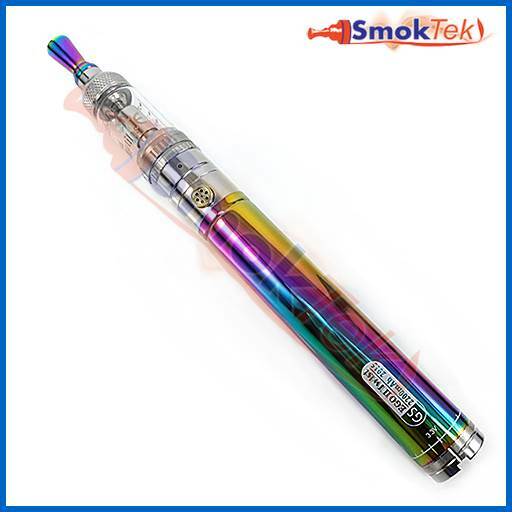 It has a long battery life and the variable voltage seems to be truly variable. Others seem to put out the same amount of power no matter what you set them to. This is a review of the first one I bought. The other two seem to be defective. I am very happy with this battery. Lasted me over 4 days on a charge. Shipped the same day that I ordered it. Would recommend this product and this seller to others. Q: will this fit aspire bdc or bvc tank? Thank you for reaching out to us! The GS EGO II Twist will work great with the Aspire BDC and BVC tanks! Q: How do I charge this battery ? We're glad to help! 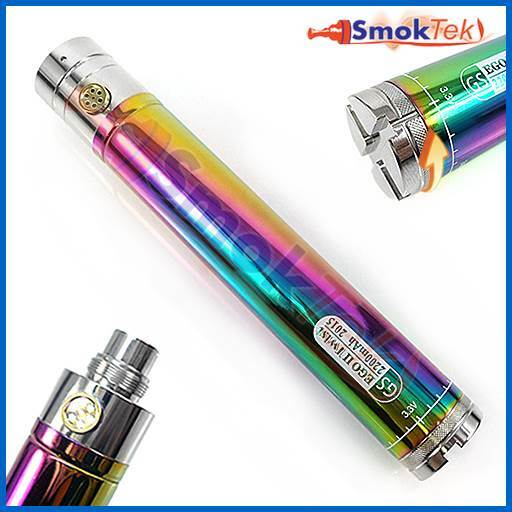 The GS EGO II Twist Variable Voltage 2200mAh Battery charges using an eGo USB Charger - like the eGo USB Charger - 420mAh in the link below.